The Queensland Government has announced it will introduce legislation to crack down on ‘claim farming’ on Queensland’s compulsory third party insurance scheme. Deputy Premier and Treasurer Jackie Trad told the 2018 Parliamentary Economics and Governance Estimates Committee that claim farming is on the rise and that she had directed the Motor Accident Insurance Commission (MAIC) to urgently advise Government on options to stop this ‘insidious practice’. MAIC will prepare a range of options, including legislative changes, to address rising concerns about claim farming on Queensland’s compulsory third party (CTP) insurance scheme. “We expect to introduce legislation in 2019. In the meantime, MAIC will begin to roll out a range of activities that focus on raising awareness for consumers and businesses alike around this practice,” Ms Trad told the Committee. MAIC will work closely with key stakeholders and engage with the public to ensure Queensland’s CTP scheme remains affordable and supportive of injured Queenslanders. Claim farming involves members of the public receiving cold calls or social media prompts seeking personal details regarding car accidents, and then selling these details to a legal firm. Claim farmers can be very sophisticated and convincing. Warning signs that you are dealing with a claim farmer is how they contact you and the promises they make. 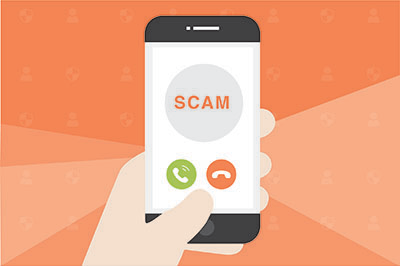 If they say they are from MAIC, or an insurer, ask for the person’s name and say you will call them back on their publicly listed phone number – not the number they are using. If you have received an unsolicited phone call or social media prompt encouraging you to make a CTP claim, please report it here. If you have been involved in a crash understand your rights. You can view the Ministerial Media Statement here.